Jake Gyllenhaal admits it early on in Stronger, his voice seething with anger and exasperation. “I’m not a hero,” he says on the way home from the hospital. He’s wrong. 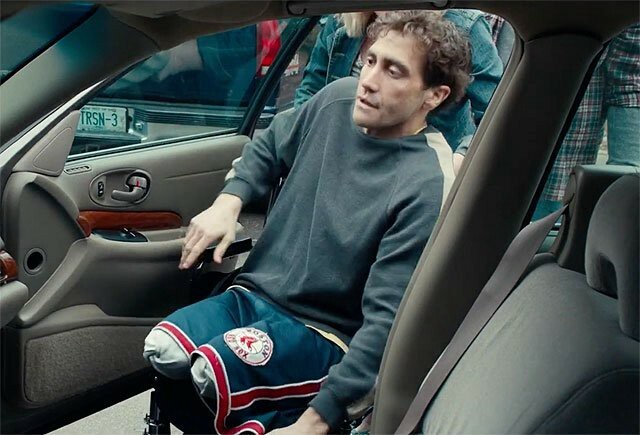 His Jeff Bauman just lost both legs in the Boston Marathon Bombing and now an ordinary guy must face an extraordinary struggle. Yet. . . well . . . . he does have a point. This is not a knock on the man himself. Life is a series of tiny moments and what happened to him in a flash on that Monday morning life is unfathomable. He deserves immense credit for having the wherewithal to describe a terrorist to FBI agents on his hospital bed and be dogged in his fight to keep on moving. I’m not just not convinced his journey is worthy of a two-hour major motion picture intent on hitting every overcoming-the-odds beat in the genre. Frankly, based on his humble, reluctant attitude in Stronger, I wonder if deep down he agrees. Stronger is the second film in under a year to depict the marathon attack. Unlike Patriot’s Day, we don’t get a vast overview of all the major players or find out what happened to terrorists in the aftermath. The focus is squarely on Jeff, a lanky blue-collar Costco employee. His longtime girlfriend, Erin (Tatiana Maslany), just broke up with him because he never “shows up” for her. In a bid to prove her wrong, he turns up with a homemade sign at the finish line of the Boston Marathon. A bomb near him detonates before she crosses the finish line. When he wakes up, he learns both legs are gone. “Lt. Dan?” he writes on a notepad. If nothing else, root for Jeff because he’s quick with the Forrest Gump references. A typical formula follows. While Jeff may be in formidable spirits in the hospital, he faces a long road ahead. There will be struggles and tears galore, as well an existential crisis. To loved ones — not to mention well-wishers from around the world — Jeff is a symbol of Boston Strong grit. But the pain and frustration is real, and just the process of getting pushed up the stairs in his mom’s cramped home is an ordeal. During a welcome home gathering, he breaks down in the bathroom. Darkness before dawn. For an inspirational movie to truly be effective, though, audiences must feel deep compassion. This is where Stronger goes through struggles of its own. Jeff’s family, albeit well-intentioned, are all cardboard cut-outs from similar blue-collar Bahstan clans seen in everything from The Fighter to Manchester By the Sea. Jeff himself is moody and prone to lashing out at the people that care for him. Even Erin. Especially Erin. This is one of Gyllenhaal’s most interesting performances. Despite the physical limitations, he gives Jeff a manic energy. He’s not always likable. I could not take my eyes off him. 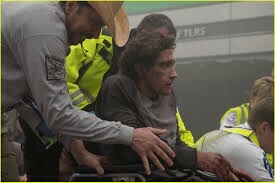 As Jeff lay dying on the pavement, an anonymous man wraps tourniquets around his legs and ushers him into an ambulance. In the film’s most gripping scene, Jeff and this man finally meet and swap heartbreaking stories. For one beautiful moment, our hero stops yelling and starts listening. I wanted more of this, more of them. This is the most unconventional bond in the movie. And, in many way, it’s the strongest.